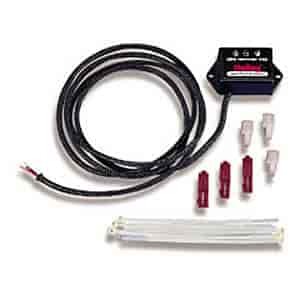 Monitor the air fuel ratio while you drive or while your fine tuning the engine! Part #510-534-51 is supplied with an oxygen sensor and is designed for carbureted, non-sensor equipped vehicles. Part #510-534-50 does not come with an oxygen sensor and is designed for vehicles already equipped with an O2 sensor. Both versions allow you to immediately see the effects of tuning adjustments made on your vehicle.